In the news recently was a report that researchers have uncovered evidence which suggests that the woman registered as the world’s oldest person may actually have been her daughter, who assumed her identity to avoid paying inheritance taxes. 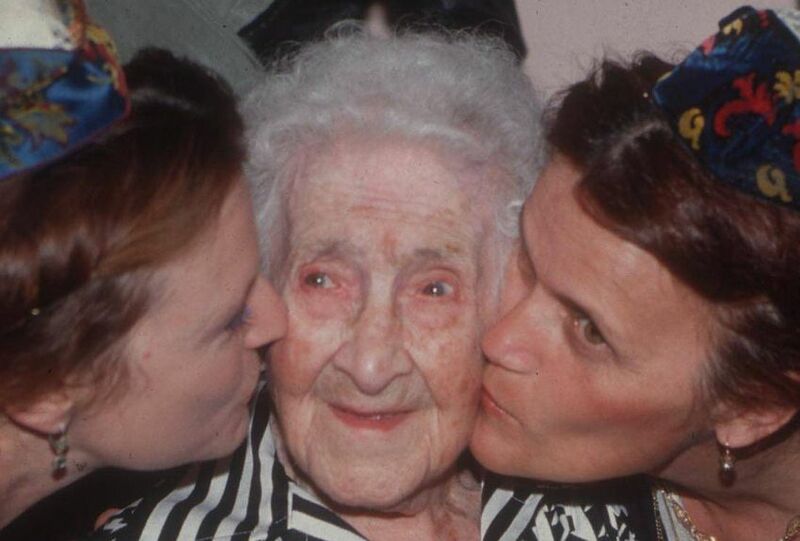 French national Jeanne Calment is listed in the Guinness Book of Records as the oldest person to have ever lived and was purportedly 122 years and 164 days old when she died in 1997; however researchers now claim to have unearthed evidence that Calment actually died in 1934 and her daughter Yvonne assumed her identity as part of a tax evasion ploy. Calment and her husband were the joint owners of a large drapery store in her hometown of Arles, Provence; and if her death had been registered her husband would have had to pay inheritance tax of 38% on his wife’s half of the business. Genealogist Yuri Deigin, believes that to avoid any potential tax bill Calment’s daughter Yvonne took over her identity. Yvonne Calment allegedly died in 1934, but analysing her death certificate Deigin stated that it was issued on the basis of testimony from a sole witness, a 71-year-old unemployed woman (not a doctor or nurse) who “saw her dead”. Zak also pointed to the disproportionately large number of errors on the identity documents of confirmed supercentenarians (those whose age surpasses 110), and the fact that despite many years of working with Calment the gerontological community was unable to obtain biomaterials to confirm her age based on forensic methods. The new research has caused indignation in Calment’s home country of France, with one eminent researcher labelling the claims as “nonsense”. Jean-Marie Robine, who participated in the validation of Calment’s age for the Guinness Book of World Records, told the Associated Press that no one has ever done so much to prove a person’s age. Along with her remarkable longevity and dislike of both taxation and socialists, Calment is also known for setting up one of the world’s most famous annuities with solicitor André-François Raffray. In 1965 Raffray (then aged 42) agreed to pay Calment (then 90) 2,500 francs monthly in exchange for acquiring her apartment in the centre of Arles when she died. However, for the next 30 years Raffray paid out more than twice the value of the apartment before succumbing to cancer two years before Jeanne Calment’s death. The only official way to confirm the truth would be to exhume both bodies for testing; this is extremely unlikely to happen as it would require family consent and if it were proved to be a scam, the family would be effectively bankrupted. I suspect we will never know as to get the family’s cooperation would be the equivalent of turkeys voting for Christmas!